Even though local environmentalist have talked about our county’s responsibility to manage its waste stream responsibly – not dumping the problem on another community – I couldn’t find a recent request to the Board of Commissioners by either a organization or an individual to start the process of developing either a new landfill or a sound alternative. With the missteps selecting the trash transfer site fresh in our community’s mind, I thought that starting that search now would give our community plenty of time to come to terms with what I think is a civic responsibility. Why? Simply because it will take years to build community consensus on, one, whether we do have an obligation to manage our waste locally and two, what kind of facility is most appropriate. Earlier this year, the Board of Commissioners did direct the Solid Waste Advisory Board to research alternative waste management technologies with an eye to the future. Their Oct. 7th report on Solid Waste Process Technology Assessment [PDF-huge] and September minutes [PDF] sketches out both the advantages and pitfalls of existing technologies. Their comments also reveal that the greatest hurdle is political, not technical. For instance, one promising, though expensive, alternative is to use of waste to produce energy. 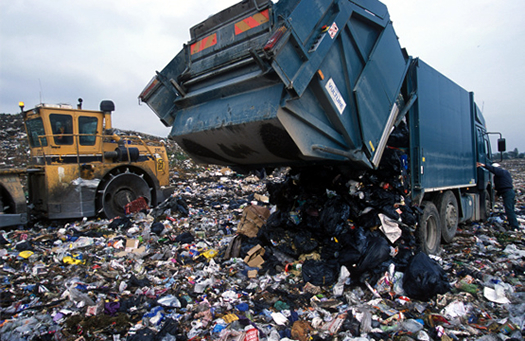 The only financially feasible way to implement incineration, at least at Orange County’s current level of waste production, is to develop a regional approach in cooperation with surrounding counties and the University (one concern is that there is a “secret plan” to build this type of a facility or a new landfill on the excess acres purchased for the new transfer site). Incineration can be done in an environmentally friendly fashion and appears, at least using state of the art techniques, not to have as large of a carbon footprint as transporting waste 90 miles to a landfill that doesn’t capture its methane by-products. Incineration, of course, is even less politically popular than landfills. In either case, the search for a reasonable and supported solution will take time. Selling the public, probably years. Developing the political will (and backbone) probably even longer. Shipping waste out-of-county was NEVER going to be a longterm solution (unless fuel cost stay constant and other communities willingness to host our garbage continues ad infinitum). Recognizing the built-in limitation of the transfer process now and acting accordingly is the responsible course to take.